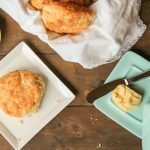 Flaky biscuits with no grains and Paleo friendly? It IS possible! 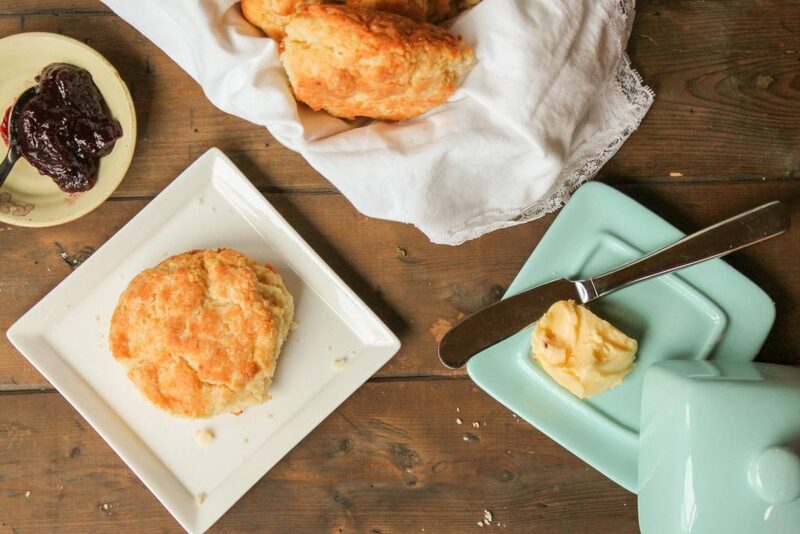 These tender, melt in your mouth biscuits will not disappoint! 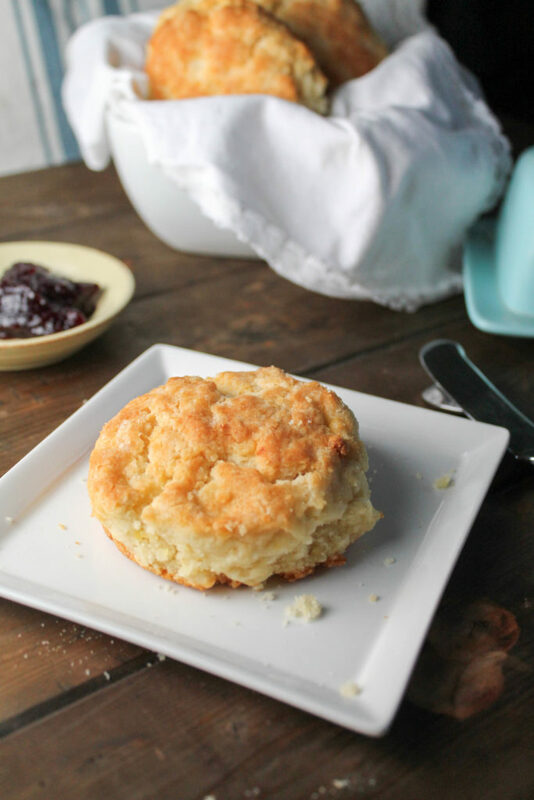 I tinkered with this recipe for some time, and I now happily make this recipe at least once a week to go with dinner and to have on hand for some biscuit egg sandwiches! Baked goods that require FLAKY as a description require some special handling (or lack thereof in this case!) The technique in handling the dough is equally as important as the recipe. Also. super cold ingredients are key! While I prefer using my food processor to make the dough for the biscuits (it requires less touching of the ingredients which keeps them colder and it handles my frozen butter easily!) , you can still use the pastry cutter method if you do not have this kitchen tool on hand. I got you covered!! 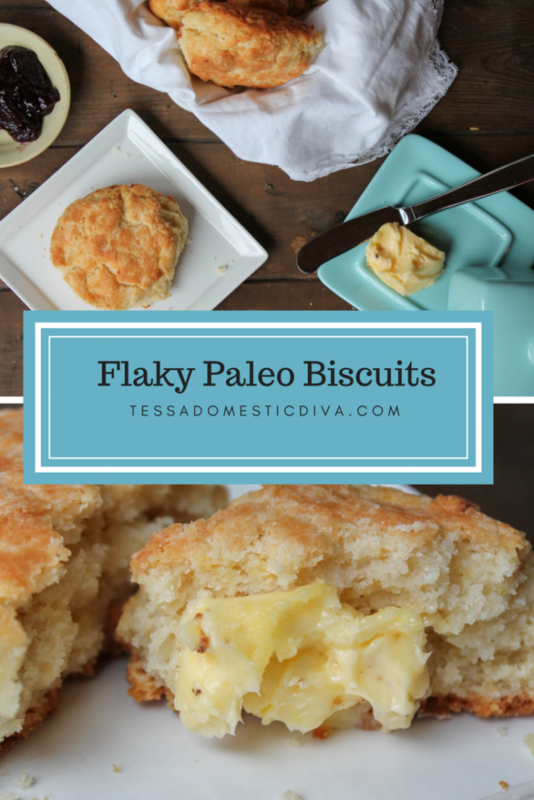 Be sure to see recipe notes on how to make some flaky dairy free AND Paleo biscuits in the recipe card! Want some yummy soups to serve with these biscuits? 1/2-3/4 cup kefir any plain variety. Can also use preferred plain yogurt. In the bowl of a food processor, place all the dry ingredients. Add in the the butter chunks and pulse until broken up but still some pea sized pieces of butter remain visible. If using coconut oil, place the whole bowl in the freezer for 10-15 minutes to chill before continuing. Add in the egg and ricotta, pulse a couple of times to mix. Add in kefir, and pulse until JUST starting to come together. Start with 1/2 cup and add more only if necessary. The dough should press together easily. Dump out onto a floured work surface (I use more of the starch), and knead a couple of times gently to bring the dough together and and make a cohesive ball. Pat into an 8" circle, about 1.5" thick. Use a biscuit cutter to cut circles, or shape into a square and cut 9 squares. Place in an 8 or 9" greased pan, just barely spacing the biscuits apart. A cookie sheet works too, or a cast iron skillet. Bake in a preheated oven for 15-20 minutes until golden and set. These are amazing, truly a feat to make them so flaky and delicious looking! These are buttery soft delicious ! I love it ! Thank you. These looks so good! The potato starch probably adds some great texture…. so flaky! Wow! Hard to believe these delicious biscuites are paleo! 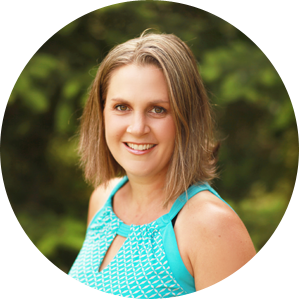 tina recently posted…The Ultimate Whole30 Instant Pot Recipes Round Up! I can die a happy woman! These are amazing! These biscuits look incredible!!! That beautiful golden top, I can’t wait to make some. O wow , I can’t believe these are paleo! I miss biscuits so much and I can’t wait to try this out one. Is there any substitute for the whey powder? Hi JoAnn!! I also have used the gelatin substitute (I linked this in the recipe too), and was going to test out adding more flour instead too…. These look amazing!! Best looking biscuits I’ve seen in a long time! well ‘looking’ is one thing, i hope you like they way they TASTE!! Thanks Andrea!! These look so wonderful and flaky! I can’t wait to try the recipe! Megan, I know you are dairy free. What is your favorite non-dairy yogurt or non-dairy kefir to use as a sub? I do not have kefir and must be dairy free so the yogurt is out. Anything else I could sub for? Hi patricia!! Do you have access to almond or coconut milk yogurt? I have also seen coconut milk kefir. You could also try a dairy free cream cheese or sour cream mixed with a favorite milk. I haven’t tested it out with homemade dairy free buttermilk (milk w/ lemon juice or ACV to curdle), but that would be worth a shot too. I would start with less since it has more water than yogurt or kefir. Let me know if I can help in any other way, and if you DO try one of these modifications, love to hear how it works! !